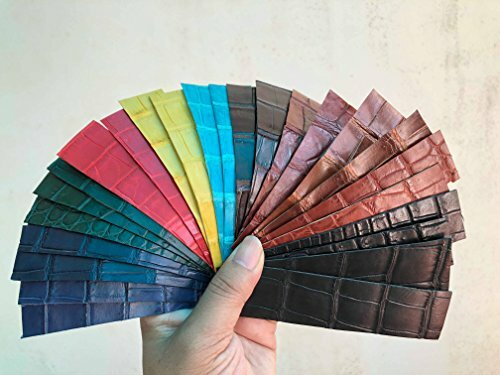 Customize Handmade Padded Genuine Crocodile Leather Watch Strap - Strap for Deployment Clasp Buckle - Order Please! 1. Main leather: Genuine Crocodile leather 2. Lining leather: Zermatt (Hermes uses for lining their products) - From Tanneries Haas, France Very soft, well water/hand sweat resistant 3. Thread: Fil au Chinois "Lin Cable" Waxed Linen Thread The best thread in the world at present and Hermes uses too 4. Glue: G17 - Imported from Japan. If you have any questions about this product by vnhandmade, contact us by completing and submitting the form below. If you are looking for a specif part number, please include it with your message.